It’s amazing the life post-processing can bring to old jpeg files. I took this photo in 2010 with my Nikon D90 and kit lens, before I knew anything about photography (can we talk about cutting off the steeple?). But as I worked on it, Paris came alive before my eyes. And I was transported to the cafe where we spent a wonderful respite people watching against the backdrop of Pont Saint-Louis and Notre Dame. J’adore Paris! 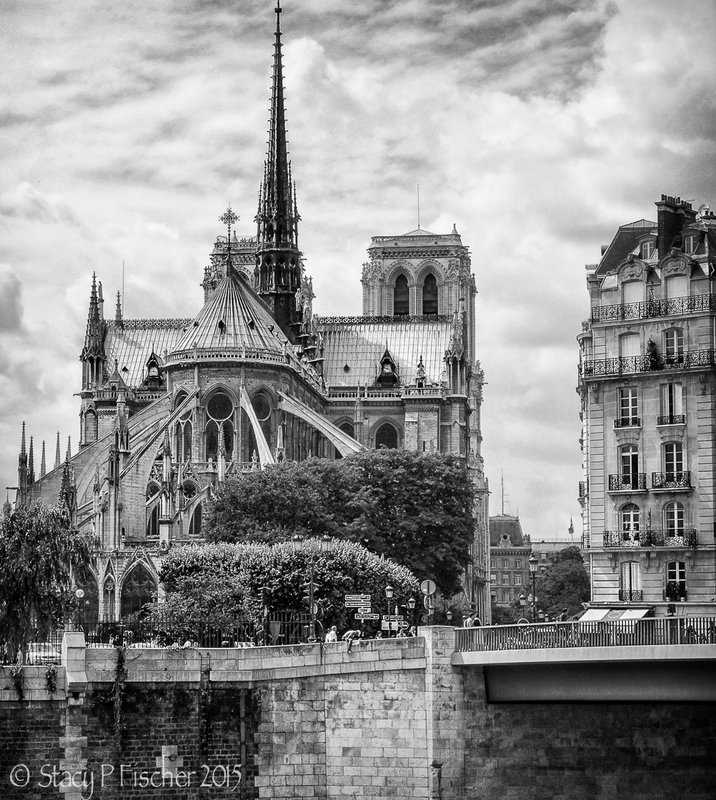 This entry was posted in Architecture, Black & White, Cityscapes, France, Monochromia and tagged black and white, Monochromia, Notre Dame, Paris, photography. Bookmark the permalink. I have sat in that exact spot…Amazing memories. 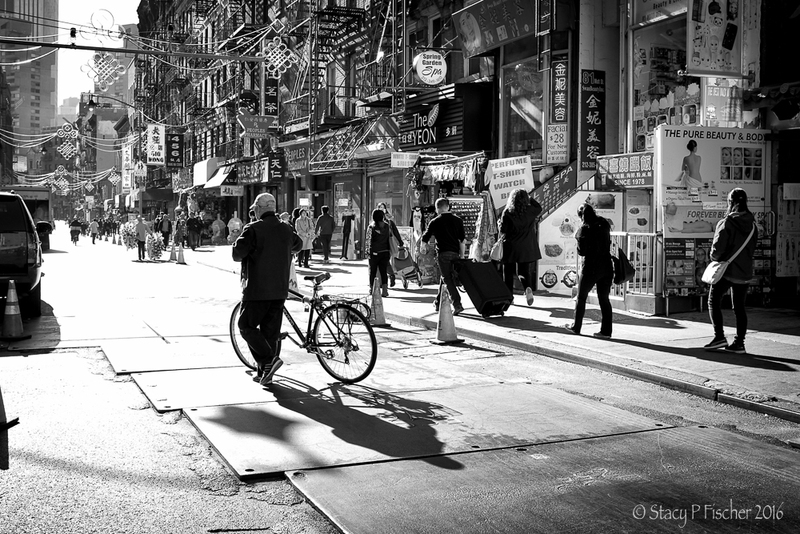 I love the B & W treatment, it really gives the detail an amazing edge. Charlie, I just found your lovely comment in my spam folder – don’t you hate when that happens?? Glad I just didn’t delete the whole lot without looking! So glad the image brought back good memories for you. It certainly does for me. Thanks so much for stopping by! Thanks so very much, Douglas! My honor – great work! Best wishes to you with your plans. No steeple but what a shot! You had talent even back then! Now I have an itch to go through my early files (2009 is the earliest I have, I think) And try some of Serge’s magic on them. Beginner’s luck 🙂 Definitely deal with that itch – it’s amazing what “magic” can be unleashed, Emilio. And this was a jpeg, not RAW! Having major issues with lightroom right now. I just erased all my old photos from there. I do have a backup but it’s going to take forever to get everything up and running again! Oh, man, Emilio, that’s horrible:( I hope you get it straightened out! love it in Mono- such a magnificent building! I had to chuckle at you cutting off the steeple. You may have been able to add more to the canvas. Copied/Pasted more of the sky and then painted in the top of the steeple. Well maybe not? Just giving you a hard time. Hope your day is going great! Sorry… just being a bit of a brat after a couple glasses of wine. It’s a dynamic image! Ah, the steeple is a small price to pay. That is a magnificent picture. Great detail. I love the Notre-Dame. I’m finding the same thing. While my older photographs have problems, my current level of post processing cures a lot of them and makes them look much better. And yes, we all have something cut off that we shouldn’t have. Some of us still do it, although thankfully not as frequently! Ha! Thanks, Nancy 🙂 As for technology, isn’t it great?? !